Carriers are impersonal, corporate entities which are designed to generate a profit for their shareholders. They do this by offering reasonable plans, at reasonable prices, for a reasonable time. Eventually, though, rates begin to climb (regardless of whether employer-based or individually owned), and adverse selection takes over. There’s also attrition due to age, family status, heck, where one lives. I would have expected to see this silliness from Paul Krugman, maybe, but a supposedly serious economist?! Perhaps the most egregiously stupid idea put forth by Dr Greenberg is his Earned Income Credit Model of health care: in order to levelise the playing field for those with severe or chronic conditions, or advanced age, or maybe being pregnant, Dr G proposes a “risk-adjustment payment based on age, gender, disability, or prior hospitalizations.” In other words, government subsidized health insurance. Didn’t we already reject this idea? So, his solution is to remove one 3rd party (the employer) and replace it with…wait for it…another 3rd party (the government). But it was the government’s tax policy that created the “problem” in the first place. So we’re back to square one, right? Not exactly; now we’re actually behind the curve. That is, we’ve substituted one somewhat-inefficient 3rd party payor with a substantially-inefficient one. By putting the government in the position of subsidizing health plans, one guarantees that the cost of those plans will increase substantially (cf: college tuition). Thanks to Dr Ford for bringing this interesting – if flawed – article to our attention. So opines my better half. Her point is that everything happens for a reason, although that reason may not be immediately (or ever) apparent. I bring this up because Bob Vineyard recently posted this comment: “My personal opinion is that employers should provide as many health benefits as possible . . . in lieu of higher wages. The tax breaks to the employer (and employee) are considerable.” The “coincidence" is that Dr Ford over at CA Medicine Man has posted his response to an article on this very subject in Internal Medicine News. Let me take a moment to mention that Dr Ford’s blog is an extremely readable, informative, and interesting place. As a physician, he brings specific medical knowledge, but it’s never too technical, and never dry. The article, by Dr. Warren Greenberg, posits that we should do away with the corporate tax-break for health insurance, which would lead to increased competition based on quality of care. Dr G is a Professor of Health Economics at George Washington University in Washington. He is also ignorant of how heath insurance really works. Those who are familiar with the term may categorize the following as a fisking. Dr Greenberg’s first premise is that health plans compete primarily on price. Actually, he gets this partially correct: price does, indeed, play a major role. But it is not the overarching criteria; if it were, then the lowest priced plan in a given market would ALWAYS dominate that market. Since that doesn’t happen, it follows that his premise is false. He follows that up with the assertion that “there is relatively little competition among health plans based on quality of care.” For a Professor of Economics, that’s pretty sloppy. Where are the facts and figures to back that up? Where are the studies that either support or refute this claim? He continues, “if a particular health plan were known for its high-quality care, it would likely attract the sickest — and most costly — patients.” Again, this ignores the real-world fact that plans DO compete in quality: who knowingly buys the plan with the WORST care? And trust me on this: if a plan offered consistently poor quality care, the market would know this, and competitors would capitalize on it. Since he hasn’t identified the real problem, he goes on to offer his solution: remove the tax-break for corporations. Yes, you read that correctly: the way to foster better care is to make insurance more expensive. If you agree with this conclusion, then you won’t like the rest of this post. Dr G avers that if employer based health insurance was stripped of its tax advantages, it would become more popular. Really?! Again with the baseless assertions. On what facts is this conclusion based? Certainly not on any real world experience. The tax advantages of employer based coverage are, if anything, a minor issue. What makes group insurance attractive is the underwriting (guaranteed issue) and the benefit configuration (multiple options, maternity, etc). What does plan competition have to do with workplace turnover? The answer is, not much. Yes, it’s true that because the plan is sponsored by a third party (the employer), the employee has little vested interest. But this fails to take into account the myriad of financial products now bundled with the medical ones (FSA, HRA, HSA, etc), and the now ubiquitous use of deductibles, co-pays and co-insurance. Surely the employee has ownership issues now. Some thirty states are considering bills that would require employers to pay for at least part of the health coverage for the uninsured. There is, of course, more here than meets the eye. First, there is a tendency in the media (and among those in the professions) to conflate “health care” and “health insurance.” This is demonstrably inaccurate: those without health insurance rarely go without health care, unless they deliberately choose to forego it. Businesses do not pay taxes, they collect them. And businesses do not pay for health insurance, they simply re-route dollars from employees’ wages to health insurance carriers. 3) Requiring enrollees in state public assistance programs to list their employers, thus embarrassing companies into paying better benefits. Let’s take these one at a time: First, mandating employers to provide health care -- in essence, forcing more dollars away from employees and into insurance company coffers – is a surefire way to increase unemployment. And this does nothing to help provide health coverage to those who are self-employed, or work part-time jobs. Second, how many companies actually do business directly with the government? A percentage, to be sure, but a minority nonetheless. How will this help to decrease the ranks of the uninsured? The last one is just funny: how does one “embarrass” a corporate entity? Perhaps ABC Widgets can borrow Data’s “emotion chip,” and learn to blush. The basic point here is this: companies do not pay for insurance; they redirect wages. Legislation which does not reflect this reality is doomed to failure. Tonight marks the beginning of the Jewish festival of Passover. We celebrate the time, thousands of years ago, when we were freed from slavery. For the next 8 days, we'll eat nothing made with yeast (in fact, there's a whole raft of foods which we'll miss). Our major staple is a cracker-like product called Matzah, made simply of flour and water. There is a whole litany of terrific Passover humor, as well. It’s been said that the life insurance industry moves at the speed of, well, snails. And there’s some truth to this. But every once in a while a new product, or a substantive enhancement to an existing product, comes along. Such is the case with Return of Premium term life insurance. To understand why this is important, let’s examine what term insurance does, and what it doesn’t do. Term life insurance is “pure protection;” that is, it pays a death benefit if/when you die during a specific time frame, or “term.” It’s analogous to renting or leasing your insurance. I’m not going to get into the whole term vs permanent debate here, let’s just leave it that term insurance can provide reasonably-priced coverage for a set amount of time. One further note: term insurance premiums are generally “locked in” for that period, usually 10, 20 or even 30 years. So the insurer can’t raise your rates if your health declines. But eventually, the end of the term comes along, and one presumably hopes to still be drawing breath. And that’s where things get dicey. Which brings us back to the question posed above: what happens at the end of the “term?” Well, the rate is no longer guaranteed at that lower level. And many folks decide they no longer need the coverage (again, I’ll defer discussion of whether or not this is wise). And the insured has naught but a bunch of cancelled checks to show for their efforts. But what if your insurance guaranteed to return every penny you’ve paid in if you’re “still standing” at the end of the term? No matter what your health, no matter what the economy has been doing for lo those many years, you get back everything you paid. This is the premise, and the promise, of RoP. Think of it this way: what if, when you sold your house, you got back all the homeowners insurance premiums you’d paid in? That would be a deal worth considering. Now, this “extra” doesn’t come cheap. The rate depends, of course on the face amount, but also on the length of the term. Believe it or not, though, the longer that term (30 years vs 10), the lower the extra cost of the rider. This begins to make sense when one considers that the carrier has the use of the money for a longer period of time. RoP isn’t for everyone, or appropriate for every case. But if you’re looking at term coverage, and you think that you might just outlive it, take a look at RoP. My good friend, insurance guru Bob Vineyard and I have been engaged in a lengthy, interesting, and frustrating email correspondence. It all started innocently enough: Bob wrote to tell me that he got his hand slapped (which is in itself not really all that surprising) because – apparently – HIPAA doesn’t consider pregnancy a pre-existing condition. “If you find a new job that offers health coverage, or if you are eligible for coverage under a family member's employment-based plan, HIPAA includes protections for coverage under group health plans that:Limit exclusions for preexisting conditionsMoreover, under HIPAA, preexisting condition exclusions cannot be applied to pregnancy, regardless of whether the woman had previous health coverage." 1) Jane was covered under a group plan at Employer A, got a new job at Company B, and immediately enrolled in their group health plan. In this case, there’s no problem; everyone agrees that HIPAA provides for continuity of coverage, and so Jane’s pregnancy would be covered. Sort of: if there’s a waiting period for new hires, she’s got a problem. But that’s another post. 2) Jane was covered under an individual plan, and then went to work at XYZ Widgets. 3) Jane had no insurance, and went to work at XYZ Widgets. Apparently, HIPAA says that the pregnancy must be covered. Does it? According to an article on Parenting.com, “if (Jane) had no insurance, got pregnant, then landed a new job with insurance, (her) new health plan would not have to immediately cover (her) pregnancy.” Now, I’m not crazy about relying on the net for such critical information, but it does seem to make some sense. OTOH, I’ll keep digging, and update/correct this answer as I learn more. 4) Jane works at XYZ Widgets, but has no insurance because she waived (declined) coverage when she was originally eligible. Now, she is considered a “late enrollee,” subject to an 18 month waiting period for pre-existing conditions. Not so fast there, pardner. According to another site, The Employers Council, “(n)o preexisting condition limitations may be imposed on pregnant women…” But, also according to that site, Jane would have had to have had [ed - that sounds clumsy] other coverage in place when she originally waived. Otherwise, she is indeed a late enrollee. If this sounds convoluted and confusing, it is. I’m still not sure how scenarios 3 and 4 will ultimately “shake out,” so I’m going to consider this post: Under Construction. While I don’t disagree, I think that this ignores other factors which contribute to the overall cost of coverage. For example, in any given policy (group or individual), up to 17% of the price is due to government mandated benefits. Such benefits are an integral part of the plan, and cannot be reduced or eliminated. This means that, even if you don’t want or need that benefit, you can’t request its removal in order to reduce premiums. As to Econblog’s dismay that folks choose plans which are contrary to their best interest: folks still eat Big Macs, smoke, watch way too much TV, and don’t exercise enough, either. All of these are antithetical to one’s good health, yet many (most?) of us are guilty of at least one or two of these “sins.” So it should come as no surprise that health insurance consumers would choose a plan which ill serves them. Then, too, many agents choose the “easy route;” that is, pushing the generic plans because that’s what everyone wants (or so they believe). This is true, BTW, regardless of whether we’re talking group or individual. By way of example: I’m currently working on a small group case which has experienced major rate increases (I know, shocking; kinda like seeing the sun rise in the east). The plan has a $250 deductible, and then pays 90%, with a maximum OOP (out-of-pocket) of $1,500 (including the deductible). Also, office visits require a measly $15 co-pay. And, of course, there’s the ubiquitous rx card. As Dr John observes, this type of plan just begs for over-utilization. My ideal solution would be to move them to an HSA plan with a MUCH higher deductible, and without the office visit co-pays and rx card benefit. This would save the group (and the employees) a lot of premium dollars, which could fund the savings account itself, with plenty of cash left over. But that’s not my call, it’s the employer’s. No matter what I say, the decision ultimately comes from the man (or woman) writing the check. And if that person doesn’t perceive it in his best interest, or if he fears a negative reaction from his employees, then that plan is never going to be installed. Remember, too, that the employees have a financial stake in this, and the cost savings would ultimately redound to their benefit. And yes, it’s my job to enlighten said employees that this is the case. But if I can’t convince the employer to make such a change -- and in this case, the employer “gets it;” he understands how HSA works – then the best to be hoped for is that we can increase the deductible a bit, and maybe the office co-pays. Such is the real world. Over at California Medicine Man, Dr John is hosting a debate (of sorts) regarding Consumer Driven Health Care (CDHC). His post (linked in the title above) quotes from an Econlog item written by two economists. Recently, I had occasion to work with a nice lady whose COBRA benefits were about to expire. Unfortunately, she has a number of health conditions that render her uninsurable in the individually-underwritten market. There were three choices, really: transition from COBRA to HIPAA, purchase a limited benefit but guaranteed issue plan, or go naked uninsured. She came to me with about two weeks left before COBRA ran out. BTW, you may be thinking that a Short Term Medical plan would have bought her some time. Unfortunately, before she came to me, she had applied, and been declined, for an individual medical plan. STM plans, as a rule, are not available to those who have been declined for coverage for health reasons. In any case, the premiums for a HIPAA plan for her run between $1,000 and $1,300 a month, depending on benefits. The guaranteed issue plan runs about $180. No brainer, right? True, the guaranteed issue plan would save her $10,000 to $13,000 per year. But, the benefits are quite limited, and a major claim could easily wipe out those savings, and then some. Likewise, foregoing insurance altogether didn’t appeal, either. This is one of those cases that, although we were able to help, still felt vaguely dissatisfying. I would have preferred to find a solution which encompassed a high deductible (to generate cost savings) PLUS a cap on out-of-pocket (to provide a safety net). Because of her health, this wasn’t an option. Oh, almost forgot: ultimately, she chose to go with one of the HIPAA plans; in this case, the “less expensive” one. Was that the right choice? Just to let y'all know that we made it back safe and sound. New Mexico may be the friendliest place we've ever been (outside Ohio, of course). 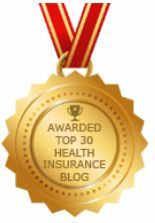 A special Thank You to Bob Vineyard (HealthInsurance411) for keeping the homefires burning here at InsureBlog. Health Savings Accounts are helping individuals save thousands of dollars on their income taxes. These tax-favored accounts, which have only been available since January of 2004, can be opened by anyone with a qualifying HDHP (high-deductible health insurance plan). Once you open an account, you can place tax-deductible contributions into it, which can then be used later to pay medical expenses. Any money not used grows tax-deferred, like an IRA. HSAs offer many tax advantages over traditional health insurance arrangements. 1) Reduce your federal income taxes. Regardless of your income level or how your income was earned, any money you deposit into your Health Savings Account is considered an “above-the-line” deduction, giving you a 100% write-off against adjusted gross income. 2) In addition the deducting the loss fund contribution, premiums paid for the HDHP are also deductible. 3) Reduce your state income taxes. 4) Tax-deferred growth. Like funds in an IRA, the money in your account grows free from federal taxes. 5) Pay for dental expenses with pre-tax dollars. 6) Pay for vision care with pre-tax dollars. 7) Pay for alternative care with pre-tax dollars, including chiropractic, acupuncture, homeopathy, herbal medicine, or any number of other so-called alternative treatments. 8) Pay for aspirin, bandages, cold medicine, and other household medical expenses with pre-tax dollars. A list of eligible expenses is through Internal Revenue Service publication 502. 9) Pay Medicare expenses with pre-tax dollars, including Medicare premiums, deductibles, copays, and coinsurance. 10) Pay for long-term care insurance with pre-tax dollars. (Decided to go easy on you today. The Professor will return, without Mary Ann I am told, next week. I now return you to your regular programming). Is This the Wrong Start? Many consumers are making decisions on health care coverage that are potentially deadly. Rising premiums force many employers to cut back or even eliminate group health insurance coverage. COBRA premiums can create “sticker shock” for those who have always enjoyed the shelter of an employer plan. Medical discount plans, illegal in some states, still prevail and consumers choose these plans as an alternative to INSURED health coverage. All of these factors, and more, force consumers into the market place in search of affordable health care. In an attempt to make coverage more affordable, some carriers are introducing limited benefit plans with premium savings of 40% or more. Sadly, many agents are pushing these plans in an attempt to gain new clients and compete in a market place where low price is a deciding factor. But how much will these limited benefit plans really cost you? Those who purchase these plans will not know the TRUE cost of coverage until they have a major claim . . . by then it is too late. Limited benefit plans DO have a place in the market. Some use streamlined underwriting to allow them to issue policies to people who would ordinarily be declined, rated or restricted by more traditional health insurance plans. THESE kind of limited benefit plans, especially when used in conjunction with a true major medical plan, can keep you from financial ruin. Even if you cannot qualify for traditional medical coverage, some limited benefit plans can help you pay the bills that come due while you are recuperating from a medical crisis. I am not addressing the almost “guaranteed issue” limited benefit plans, but newer plans that have arrived on the market in the last 6 months or so. The pitch is lower premiums saving you 40% or more. Most people fear a hospital stay for more reasons than just the dread of having something life threatening. They hear stories of hospital stays running $5,000 per day and more. These newer policies promise to save premiums by providing good inpatient coverage while limiting outpatient benefits. They say you can get off on the right start with their plan by getting the coverage you need but at a lower price. One such plan has a $2500 outpatient limit as their “standard” offering. The “big” print pitch tells you a family of 4 in Atlanta can save around $200 per month over a popular “Blue” plan with a similar deductible. Saving $200 per month is quite attractive and it makes the sale of these policies easy for the uninformed agent and buyer. Who doesn’t want to save $200 on health insurance? What most people don’t know is that overall, hospital inpatient claims are approximately half of all claims paid by insurance companies. On a $50,000 claim maybe $25,000 is from inpatient care and the other $25,000 is incurred out of hospital in follow up care. So how much did you really save in buying a plan with a limited outpatient benefit? A traditional major medical plan with a $2000 deductible and coinsurance will result in an out of pocket expense of around $4000 on a $50,000 claim. That same claim when paid under a limited benefit plan results in an out of pocket expense to the insured of more than $26,000! If you use your $200 per month premium savings and apply it toward a $26,000 loan at 8%, you will have the loan paid off in 25 years and will have paid back over $60,000. Is it really worth the $200 per month savings? Or did you get off on the wrong start with your health insurance plan? Your perspective on the availability and pricing of health insurance depends mostly on whose ox is being gored. If you are in good health, you pretty much have your pick of plans, carriers and pricing. If you are not your choices become much more limited. I can empathize with those who are having difficulty finding health insurance due to existing health conditions. But I do find it interesting that some are almost militant in their demand for ready access to health insurance without restriction. Let’s say you are using anti-depressants, are on a low, maintenance dosage, and have had good success in your treatment. You have not been hospitalized, taken time off from work, have not attempted suicide or other bodily harm. In general, you function within “normal” limits but the meds help to stabilize your moods. If you are looking for individual coverage the best you can hope for among PPO plans is standard issue but no coverage for meds or provider sessions associated with depression for the first 12 months your policy is in force. Or you may find a carrier that will exclude coverage for depression for 3 years . . . or for as long as you have the policy. You should be entitled to the same health care benefits as others, right? OK, how about a diabetic? That’s a common affliction, particularly type II diabetes and most people have few problems. But some people DO have problems. A friend has lived with diabetes (type I) for almost 40 years. Although he is not old (at least not by my standards) he has been on disability for more than 2 years. Over the last 10 years or so he has had numerous surgeries on his eyes, feet, shoulders and probably a few other parts. He is covered as a dependent under his wife’s health insurance. My guess is the carrier has paid out over $200,000 for surgery, therapy, medication, etc. Is it any wonder why a carrier would not want to insure a diabetic . . . especially on an individual health plan? Let’s shift gears just a minute. Forget about health insurance. Let’s talk about borrowing money. After all, health insurance is really just a blank check for a loan you never have to repay. Let’s say you pay your bills on time, are not overextended on credit and are generally a good credit risk. You probably expect (and get) the best rates available on loans. The people who have a poor credit history, never pay on time, maybe even have a bankruptcy should get the same rate on loans that you get, right? Of course it doesn’t work that way. Folks with good credit get the 0% financing on cars and 5% or so on home loans. Folks with bad credit get their cars at the buy-here-pay-here place and if they can even qualify for a home loan end up paying 12% or even higher. Same principle applies to health insurance. Good risks get the good rates, poor risks pay a higher rate. Those are the rules. If YOUR ox is the one being gored, and you are having difficulty finding the coverage you want, it may be because you are not looking in the right place. Or more appropriately, you are not talking to the right agent. Very few people are truly uninsurable. Throw out the highs and the lows, then work with the ones in the middle. This was advice given to me a long time ago by a lady I admired. She was a consultant with one of the alphabet houses in Nashville and handled some big regional, and national accounts. One day I was calling on her as she was sorting through various bids for coverage on one of her accounts. Despite what most casual insurance buyers think, this is a tedious process. 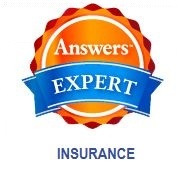 Most insured “shop” their coverage maybe every 2 – 3 years while a few will more often than that. To the untrained eye all plans with the same deductible and “roughly” the same coverage should offer the same coverage. To the casual buyer, once policies with the same deductible and copay are grouped together, you look for the lowest price. This is a fatal flaw and one of the reasons I encounter so many people who are dissatisfied with their health insurance plan. In truth, there are often subtle differences from plan to plan. On the surface they may LOOK the same but once you look at the policy you will see glaring differences. One plan may include lab work in an office visit copay while another may not. This difference alone can mean the difference in paying $30 - $40 to see a doctor and paying $200 or more. Looking further, one plan you are considering may pay 20 – 30% of charges for emergency transport (ambulance) while another pays all charges after a $150 copay. OK, you may not use an ambulance that often, but my guess is the last thing you want after a medical emergency is to be stuck with a $500 (or even larger bill). Did you know that emergency transport companies are hidden providers? They do not participate in any network and are free to charge whatever they want. Ground transport, even for short distances, is usually $500 - $1000 and your plan may only pay $200 or so. If you have to go by med-evac (helicopter) the bill starts at $7000 and goes up from there. I actually heard a guy complain once about his coverage for an airlift trip to the ER. Seems he was injured in an auto accident and was transported by air to the nearest trauma center. The trip lasted less than 10 minutes and the bill was over $6000. (He must have gotten a break). His plan paid about $800, leaving him over $5000 out of pocket. He felt he was not liable for the charges since he was not conscious at the time and was unable to authorize the use of the hospital. My guess is he has been unconscious most of his life and this was just one more venture into the Twilight Zone . . .
Back to the point of this post. Do you know how much your carrier pays for ambulance transport? When you “shop” your coverage do you just look at the items you use the most or do you search for those once-in-a-while things that can really cost you money? Do you look for the lowest price or throw out the highs and lows and work with the ones in the middle? Will you survive a health crisis only to be faced with a financial crisis over how to cover $5,000 or more in unpaid medical bills? There is a reason why some plans are less expensive than others. More often than not it is because of what they DON’T pay that makes the difference. Years ago there was a popular ad for oil filters that ran on TV for what seemed like forever. As I recall there was a mechanic standing in front of an engine he was overhauling . . . a job that runs several thousand dollars. (This was back in the day when folks repaired their cars vs. trading them in on a new model). He talked about how a cheap oil filter can ruin an engine, but implied if you used a particular brand of filter you could avoid engine problems. The closing line to the ad was, “you can pay me now or you can pay me later”. You can buy the cheap plan and save a few bucks now, but will it cost you more in the future? "I knew I should have taken that left turn at Albequerque"
Well, that’s where my family’s headed next week. We’ve never been out that way before, and decided that Spring Break would be a fine time to head out west. While I’m gone (or, as my new friend Kat would say, “on hiatus”), my good friend, health insurance guru Bob Vineyard, will be filling in. Please don’t be too hard on him.